Glowing gold with dyed and stabilized sycamore wood and antique micarta inlay, this small French Chef knife from Don Carlos Andrade speaks for itself. 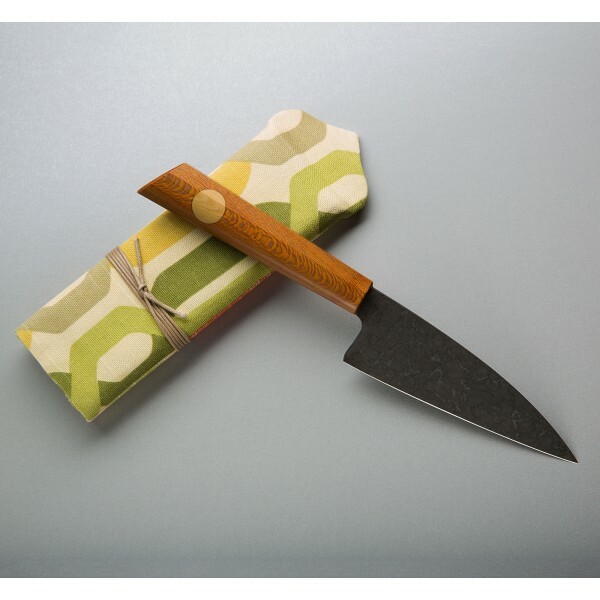 The forged 52100 carbon steel blade is hardened to HRC 59-60 and is finished with Don's new mustard finish. We're wild about it, and it's not just because we love mustard. 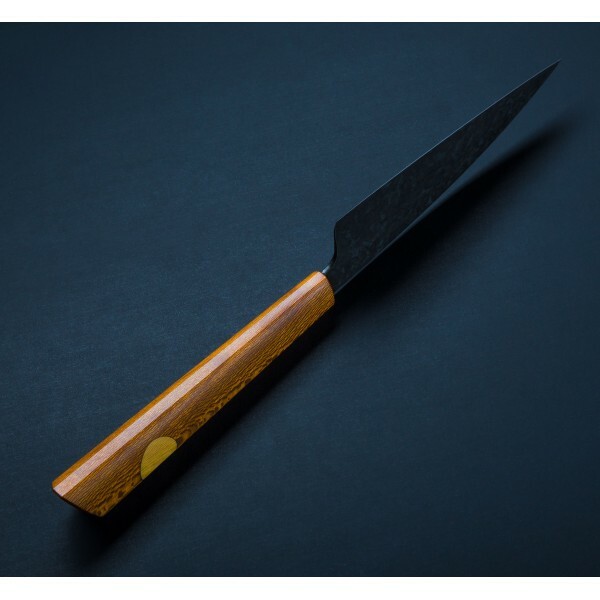 At 5.5" this perfectly tapered carbon blade is ideal for every day food prep, not too large, not to small. 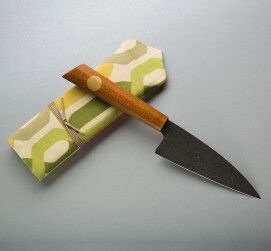 Knife comes with a fabric-covered protecive case. We count Don Carlos Andrade as not only a talented designer and blacksmith but also a good friend. 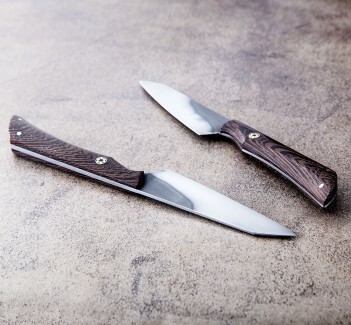 Don is a professionally trained chef who has been making kitchen knives by hand for a decade, and his designs and attention to detail speak to his culinary expertise in every piece he makes. 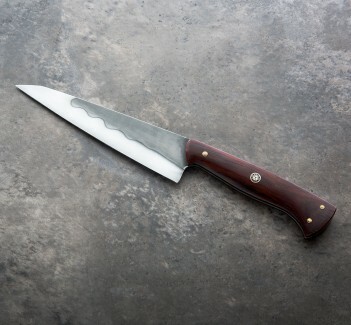 52100 carbon steel blade with mustard finish. Dyed, stained sycamore handle with antique ivory micarta inlay.